Cn Times Books Inc., 9781627740067, 259pp. Twenty years ago, Gao Jianqun's bestselling novel The Last Hun popularized ancient Chinese legend and renewed interest in the earliest periods of Chinese history and culture. In Tongwan City, Gao relates an epic saga of murder and compassion in the grassland kingdom of the ancient Chinese frontier, while telling a parallel story of knowledge blooming in the center of Chinese life. Gao weaves into this tale seminal themes of Chinese history and culture: the connection between the warlike Xiongnu and their cousins the Huns, the Great Wall that was built to separate the Xiongnu from the Han Chinese, and the philosophy that ultimately united them. Gao Jianqun was born in 1954, in Xi'an City in Western China. One of China's finest novelists, he is the deputy chair of the China Federation of Literary and Art Circles. Gao has published more than ten books in China. His novel "The Last Xiongnu" was a sensation in China, selling over one million copies. In 2011, "The Last Xiongnu" was adapted for Chinese television. In China he has been called the "last knight" for defending romantic literature. 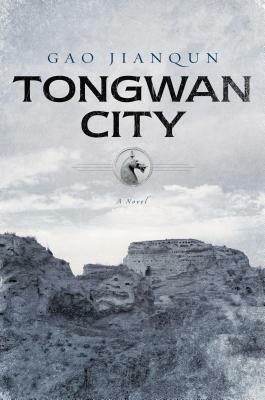 Gao has announced that "Tongwan City" will be his last novel.